3 KEY INGREDIENTS THAT HELPED HOTSPEX BECOME NORTH AMERICA’S #1 MOST INNOVATIVE INSIGHTS FIRM AS VOTED BY CLIENTS - Hotspex, Inc.3 KEY INGREDIENTS THAT HELPED HOTSPEX BECOME NORTH AMERICA’S #1 MOST INNOVATIVE INSIGHTS FIRM AS VOTED BY CLIENTS - Hotspex, Inc.
As CEO and Head Innovator of Hotspex, I am incredibly proud of our team at Hotspex for achieving our recent ranking in the GRIT (Greenbook Research and Insights Trends) Report. Hotspex was voted as the #1  most innovative  insights firm in North America by clients (#2 by suppliers just behind Ipsos). We doubled our votes globally to move up from #16 in 2017 to become the #8 most innovative insights firm globally. From a global perspective, we are excited by the opening of our London office, that now accompanies our two other global offices in New York and Toronto. We have a fantastic team set up in Europe that is already working with some really big brands in the EU. I was speaking with the Head of Insights at one of the world’s largest CPG companies last week and he said that innovation is everything to him and the future of the CPG industry as we know it depends on it. I shared the exciting news about our GRIT ranking and he asked me how we did it. Upon reflection, I came to realize that there are few key ingredients to being  innovative in the insights space. They are simple insights, but at the same time they do require discipline to execute properly. I hope that me sharing the following three ingredients of a top insights innovator inspires you to think a little more  innovatively, whether you are a client, supplier, or someone looking for a new career in insights. As I said an IIEX talk a few years ago “Innovate or Die”. The first ingredient to be a top market research innovator is to build a culture that is obsessed with innovation and client impact. At Hotspex we are deeply obsessed with the “new”. We invest heavily in new technologies to grow our clients’ brands using the latest technology and behavioral science. We do all of this with a deep focus on our clients and the impact we create for them and their brands. It’s a focus on the human side of insights that builds trust and allows us to make our clients heroes in their organizations. Having started this company in 2000 as one of the very first online research company on Earth, Hotspex has spanned my whole professional life. I am honored to have worked with thousands of amazing people and top global brands to achieve amazing things together. Over the last 18 years at Hotspex we have re-invented ourselves 5 times using client focused innovation. Each iteration has resulted in the creation of a better, stronger, faster consultancy that helps our clients grow their brands and advance their careers. It’s been quite the ride and knowing how much faster the marketing world is about to change, we know that the only path forward is a focus on innovation and impact. The second ingredient to building an innovative insights firm is working with innovative clients. Clients that have a laser focus on being innovative and impactful, tend to want to be on the leading edge in finding new brand building opportunities and quite enjoy working with us. One of the key insights I gleaned from the insights leader of one of the world’s biggest CPGs I referred to earlier is that members from his team who bring innovative solutions are the ones who create the most impact and are ultimately the people that get promoted. He explained that people on his team who drive  innovative thinking in the art and science of insights are the ones that will be the best equipped to manage the increasingly complex and challenging world of marketing. Let’s face it, brand growth is very difficult these days and insights methods that blend technology and behavioural science best reveal new patterns and pathways to growth. From a Hotspex perspective, we know that we can’t innovate or create impact without working closely with our innovation driven clients. In fact, we leveraged the relationships we have with our most change-minded clients to create our recent innovation that has been featured at conferences and covered in WARC. We call it Cognitive Media Targeting. CMT makes our advertising more effective by integrating our behavioral science expertise with Google’s deep machine learning to match ads and content. Clients such as Honda, PHD Media, Coca Cola, BMO, Nestle and Canadian Tire participated in our first pilot. They benefited from first mover advantage of this new technology. We actually used this technology to help build awareness of our Hotspex Innovation. We are constantly looking for clients that want to participate in some of the cutting edge pilots we have going on, so please don’t hesitate to connect with us if you’re interested. The third and most  important ingredient to creating an innovative and impactful insights organization is building an amazing team. We have learned over time that the people who most love working at Hotspex are insatiably curious, incredibly smart, and passionately focused on wowing clients by exceeding expectations. In return for their hard work, they get incredible exposure to global brand building challenges among the biggest and coolest companies in the world. We now have an extensive behavioural screening process that lets us peer into the professional souls of potential candidates and our hiring success rate is improving. I also admit I’m a little crazy. I’m not everybody’s proverbial cup of tea as I’m obsessed with the new and on pushing what we can achieve with our innovation. I change my mind often and I’m unapologetic about pushing our team to do more and more, and then even more to help our clients grow. Given that we grew 30% year over year and are expecting continued growth, we are investing heavily in the right people. Hotspex is fortunate to have several billionaire investors that are courageous enough to heavily invest in human understanding technology and new business models. Their desire is to invest in growth versus taking dividends. This has allowed us to have a full technology team run by an amazing leader, Toby Pilling, who manages the design and creation of mind-blowingly cool technology.This includes the recently mentioned Cognitive Media Targeting tool that uses Google’s Machine Learning and Hotspex Behavioral Science to improve media performance by targeting advertising to people based on their emotions.Here is a short promo reel on the new technology. We are also afforded the considerable luxury to have one of the very best behavioral scientists in the world, Dr. Dan Young, a 30-year P&G veteran, on our team to help create the insights tools of the future. Dan and his team of cognitive and social psychologists help our clients develop stronger hypotheses around their businesses and ultimately transform data into easy to understand principles that can drive growth and impact. 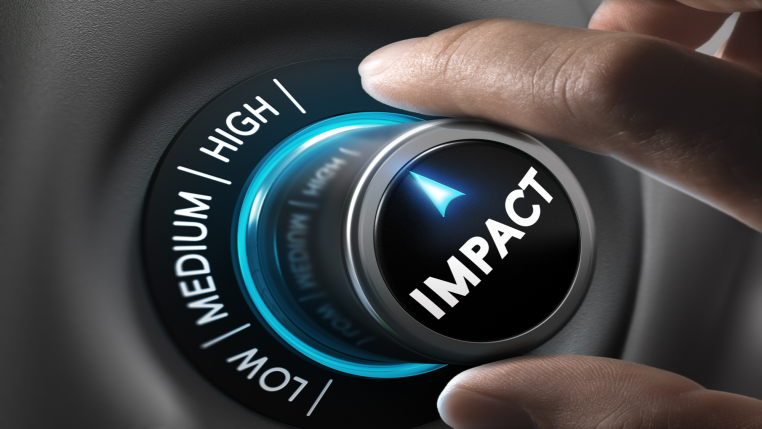 Are you driving innovation and impact at your organization? In closing, I hope that me sharing the 3 ingredients behind what has made Hotspex a top innovator in our industry has sparked some new ideas for you. Innovation in insights has never been more important. Those that resist change are those who’s careers will likely not survive the accelerating technological disruption. Think big. Think new. Think you! Again, whether you are a client, supplier, or someone looking for a new career in insights, please get in touch, so that we can find ways to innovate and create impact together.